With spacious, air-conditioned, fully-furnished ensuite rooms, your satisfaction is our concern. Our friendly multilingual staff are at your service twenty-four hours a day, combining professionalism and comprehensive local knowledge with our personal enthusiasm for this phenomenal city - which adds up to service, at a price that will surprise. 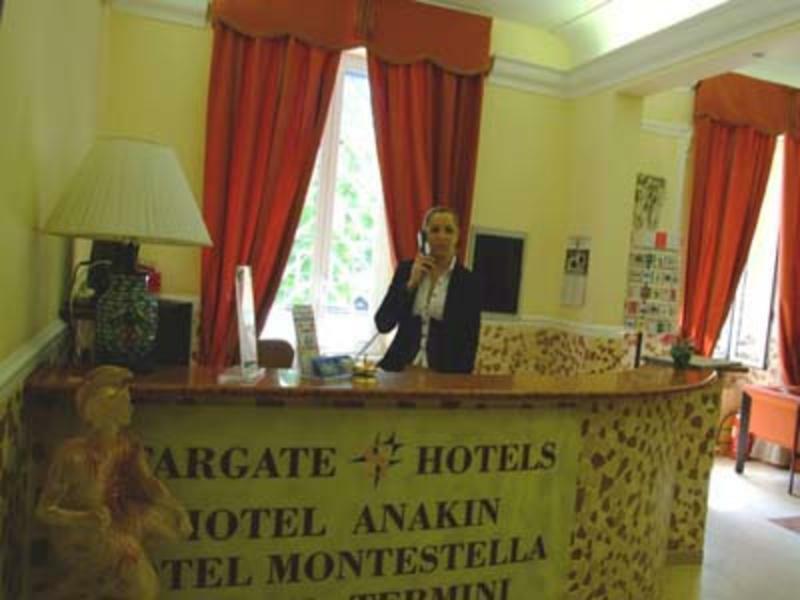 Well look forward to welcoming you to wonderful Rome, where a stay at Anakin Hotel will be a pleasure to remember. Getting to the hotel from: 1) Termini train station: when you arrive by train, you arrive in a westward direction; with the train at your back you should walk to your right (in the direction of descending platform numbers), and take the first opening to the street. This is the north exit. Make sure that youre on Via Marsala (Marsala street); From there just walk four short blocks up the street directly ahead of you, Via Marghera. When you hit Via Palestro, take a right until number 88. Our signs hanging outside. 2) Ciampino Airport: the Terravision bus arrives at Via Marsala, parallel to Termini station; in one direction, theres some wonderful old ruins and the station carpark; in the other, a huge creamy- white building, Termini. You want to walk towards that big building. Take Via Marghera when it comes up on your left (all the connecting streets should be on your left side). The rest is as above. 3) Fiumicino Airport: The Leonardo Express departs every 30 minutes from the airport, and arrives at Termini Station on Binario (Platform) 21 or 22, tucked way back up in the corner; walk back into the station. When you get to where the other trains are parked, turn right (platform numbers should descend in that direction). Take the big opening at the far end of the station. You should find yourself on Via Marsala. The rest is as above. 4) If you arrive at any other station, airport or by any other transport, you first need to get to Termini station. Go inside the station and walk in the direction of descending platform numbers to the north exit, take the above directions. Maps are available everywhere, including inside the station tourist office and on the internet.